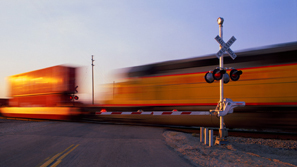 Cars and trucks are at a deadly disadvantage in railroad crossing accidents. The lawyers at The Law Offices of Frank L. Branson have experience representing victims and families of those injured and killed in railroad crossing collisions. Every year, hundreds of motorists are involved in serious and fatal railroad crossing accidents. Many victims failed to see a train approaching or tried to beat a train across the tracks. Our train accident lawyers often find that railroad collisions are the result of crossing signals that are missing, poorly marked, or not properly maintained. Attorney Frank L. Branson and his firm represent accident victims and their families against the world’s largest railway companies. The firm works with investigators, medical experts, and railroad professionals to prepare the best possible case and make sure the responsible parties are held accountable. To learn more about our experience in railroad crossing accident matters, we invite you to contact the firm here.